Saturday was my favorite race day of the year. 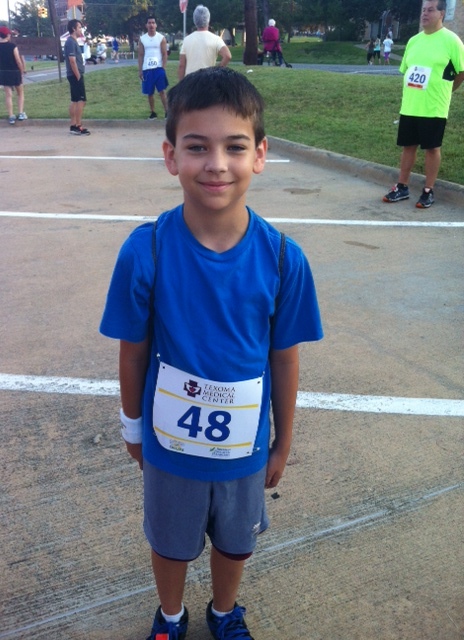 This was the fifth year our family has participated in the Sherman Education Foundation run. There is a 5k, 10k, and fun run. The schools get involved and it’s one of the biggest local races we have. The goodie bags are awesome – string backpacks, reusable bottles, etc… It’s also held in conjunction with the Sherman Arts Festival. What better way to spend the day as a family than to run together and eat funnel cake? This year we changed things up a bit. In the past I have run either the 5 or 10k, then ran the fun run with the kids as a cool down. 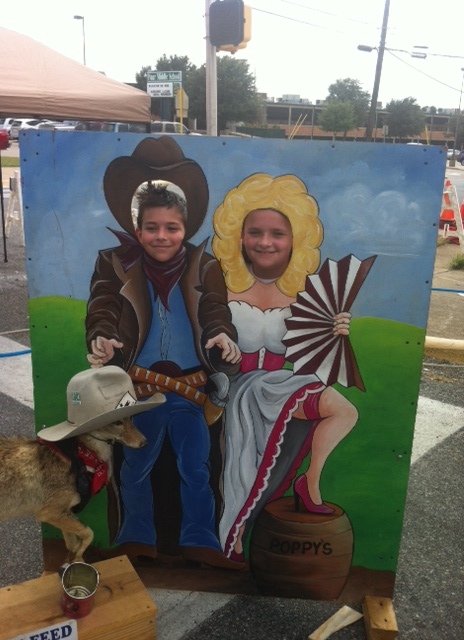 This time, my youngest two decided they wanted to do the 5k. 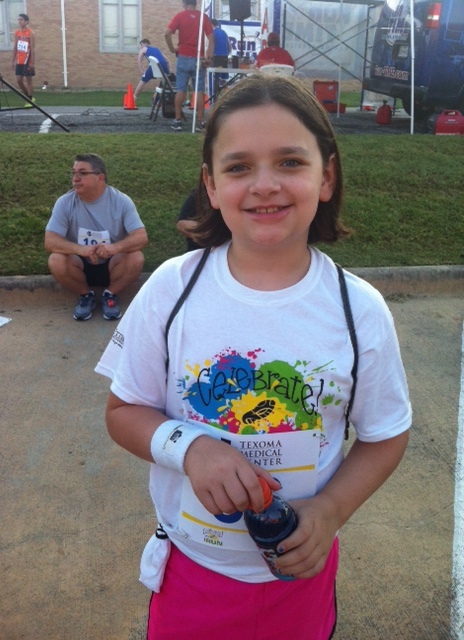 Since their first 5k in April – an untimed color run – they’ve been asking to do another. My parents planned a trip up. My dad was going to run the 10k, and my mom was going to walk her first 5k. My husband (who got his fill of mandatory running in his Navy career) was the finish line support crew. Earlier in the week I decided not to change my marathon training around. I wanted to see how I could race on tired legs. I’ve run my fastest times when I was marathon training. Go figure. But since it was still warm and humid all week, I gave up hope on a PR. By Saturday morning I had been dealing with lack of sleep, busyness at work, busyness at home – helping translate Spanish homework at 10 pm – and general stress all week. My Garmin had quit, my appetite was blah, and running felt tougher than it should have. I needed relief and sleep. Oh, and this was an “easy” week for training. Thank goodness there was no football game Friday night. Saturday morning, I ran to the start as my warm up and met up with the rest of my crew. I also ran into my friend who was running the 5k as a shakeout run before her first half marathon the next day. The 10k course was hilly and tough – especially the hill between mile 4-4.5. It knocked the wind right out of me. That’s also the point where my legs said, “Hey, we ran 9 miles yesterday. What the heck are you doing?” Since I didn’t have a GPS watch, I had my iPhone tucked in my iFitness belt with the Nike Plus app going. I had the audio on, but my breathing was so awfully loud, all I could hear for the first three miles was “average pace 7…” I had no idea how fast I was going, but I had my eye trained on another runner from our group who is faster than me. Before the race, I told her I was using her as my rabbit. After the hill, I lost her. I did what I could to run strong, but I was so grateful to be finished. My official time was 50:54, and my mile splits on the app were 7:33, 8:01, 8:09, 8:10, 8:35, and 8:33. Oops. I went out just a little too fast. After I crossed the mat, I heard my son call out to me. Then my daughter came running up. Her face was red from running, but she was smiling. “I finished before you.” I was so proud of them for finishing on their own. The look on their faces when I asked them if they wanted to do the color fun run was priceless. They were done running for the day. I found my mom and congratulated her finish, then went to cheer in my dad while my husband headed over to the gazebo to hear the band (and our oldest daughter) kick off the start of the Arts Festival. My dad and I both placed first in our age groups in the 10k. My mom was fourth in her age group for the 5k. Pretty nice for a first race and she’s a fast walker. My friend running her shakeout in the 5k: Grand Masters Overall female winner. (She went on to finish a great half marathon on Sunday.) Her mom ran her first 5k race and placed first in her age group – at age 70. I write all this because it goes back to the heart of my blog. 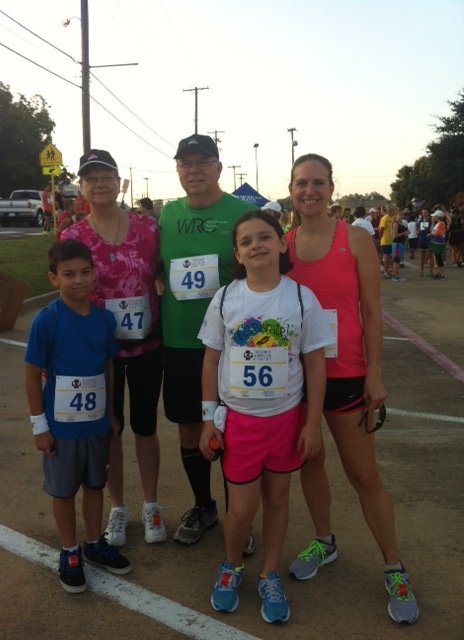 I started this blog to honor my dad who ran his first 5k at age 61. He didn’t think he could run. He was walking 30 minutes a day on the treadmill, and I told him he could do a 5k. My mom, who can’t run because of knee problems, was walking 30 minutes on the treadmill at a time. My dad told her she could walk a 5k. So she did. At age 62. Yes, anyone can run. They can participate in many ways. So many people can get started just because you put an idea in their head that they can do it. Don’t be afraid to say so. And the funnel cake? It was worth it. I knew it would get busy this fall with work, kids in school, marching band and Friday night football, and marathon training. 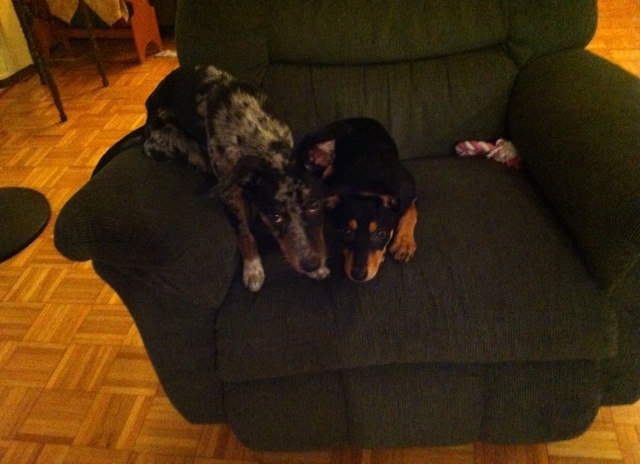 Oh, and the puppies. Boy, sometimes they wear me out. Just when I think we have made progress, I find them chewing on the floor trim, or a shoe, or my toes… More reminders of why I said no to a new puppy for the last four years. Don’t let these innocent faces fool you! Anyway, my training has been moving along.The humidity has killed my pace on almost all speed work and tempo workouts. Thankfully, cooler temperatures are coming. I’m hoping tomorrow’s run will be a breeze. As I’m settling into training – I’m on week 5 – I’ve noticed my body craving old food habits I formed a year ago. That’s a good thing. Lots of eggs, spinach, peanut butter, and guacamole avocado. 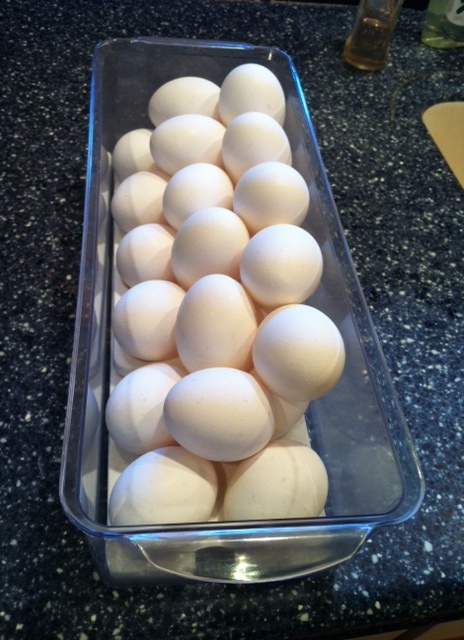 This is a totally normal amount of eggs to have on hand, right? My appetite hasn’t gone crazy like I thought it would, but my stomach has been rumbling with hunger twice a day: the middle of the night and the middle of my run. I decided to make some more filling snacks to have around to see if it would help. 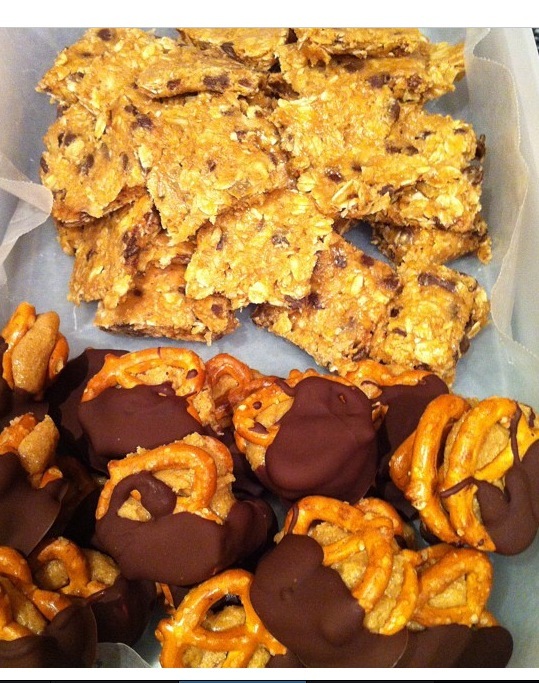 I’ve made the no bake energy bites several times before, but I tried this recipe with the pretzels for the first time. I’ll be making more of these, especially since other family members discovered them. I need to buy more peanut butter. 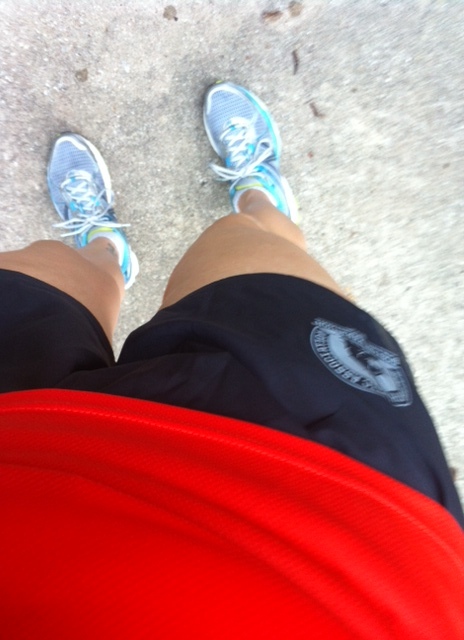 We did some shopping a couple of weeks ago, and I got these shorts for $12.00 at the Adidas outlet. 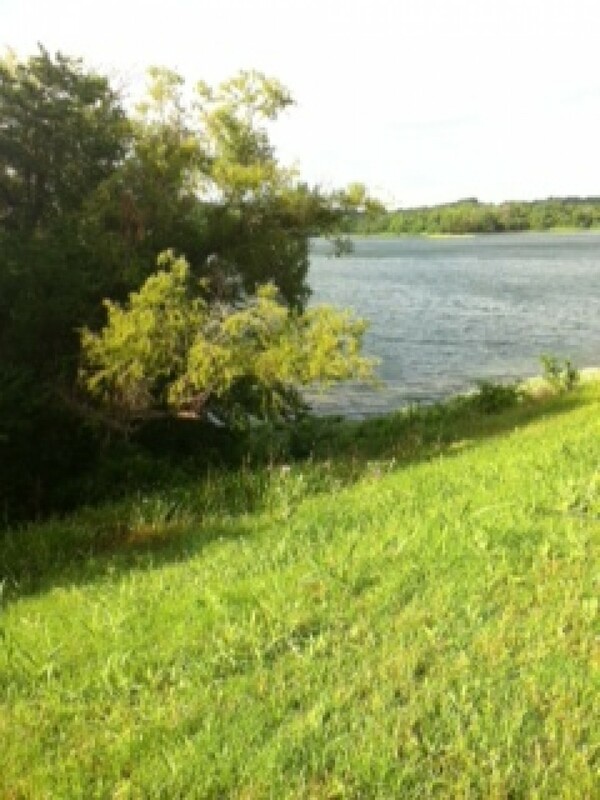 I can look at the logo during a run for a reminder of one of the reasons I’m training hard. I also grabbed a tee for $7.00 which is just my shopping style. On Amazon, I snagged a deal on a pair of compression shorts with ice inserts. These take my post-run recovery to another level. Today, I used my headlamp for the first time. I needed to branch out to reduce some hills, and it helped. I didn’t try it before, because I was afraid it would bounce. It didn’t. The only trouble I had was when I was running into the wind. 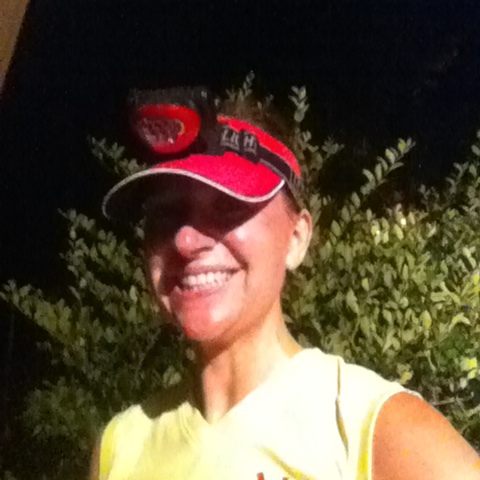 But I did feel pretty hard-core running with a headlamp. Yes, my face is that red. 80 degrees, 74% humidity, 9 miles with 6 at marathon pace. Whew! Bring on fall weather already, I’m so done running in tanks! I’m glad to be back in the familiarity of marathon training, but new recipes and gear certainly help keep my motivation up.